Our exclusive range of hand embroidered scarves are very much in demand. These scarves are made by selection of good quality beads and threads. We can offer variety of scarves as per the specifications from our esteemed customers. 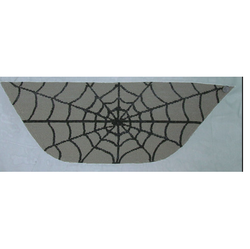 We offer a variety of Hand Embroidered Scarves to our esteemed customers. These scarves are made by selection of a variety of beads and threads.We offer customized scarves as per the specification of our esteemed customers. Looking for Hand Embrodiered Scarves ?